Here we go! The first Schedulin’ Sunday of the 2018-2019 school year. I am so excited about the first day of school and a new year with a new group of mustaches. This is going to be a year of fun, messes, giggles and learning! I am so ready to get started! Here are my first week lesson plans. We start with two half days and then day 3 starts our full days! 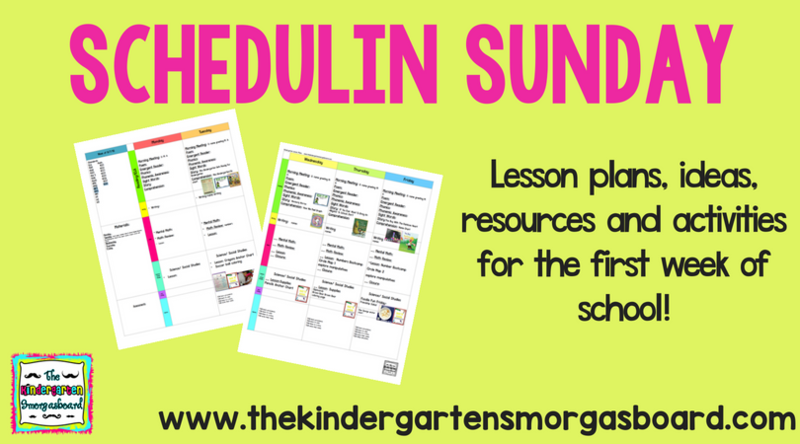 Click the image to download my lesson plans! We kick off our first day of school with a half day. Our big focus is on procedures and routines, of course. We practice name writing and we learn how to use crayons! Our day kicks with off with our first morning meeting so we can learn procedures and start to learn our names and get to know our friends! And let’s be real….it’s all about not losing kids and getting everyone to the correct dismissal location! TRUTH! After our morning meeting we read Miss Bindergarten Gets Ready For Kindergarten! After we read we make a chart to compare what we did to get ready for our first day of kindergarten and what Miss Bindergarten and her students do to get ready for kindergarten! Finally, we kick off our Back To School Research Project by learning how to use crayons! Mr. Greg models how to use crayons to color a soccer ball and then we color a soccer ball. Finally we make our first anchor chart of the year about what crayons do and do not do! Click the soccer ball to get your free coloring page! 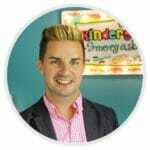 For more information on our first day procedures check out this post on the 7 procedures I teach on day 1! Day 2 is all about our feelings about school! We read First Day Jitters and do a predictable chart about how we felt on the first day of school! We read Wemberly Worried and talk about feelings. Then we use our Read It Up: Miss Kindergarten Gets Ready For Kindergarten to graph whether we are excited for kindergarten or nervous! We also do our first cooking activity! Yes. Day 2. We make school bus cookies!! 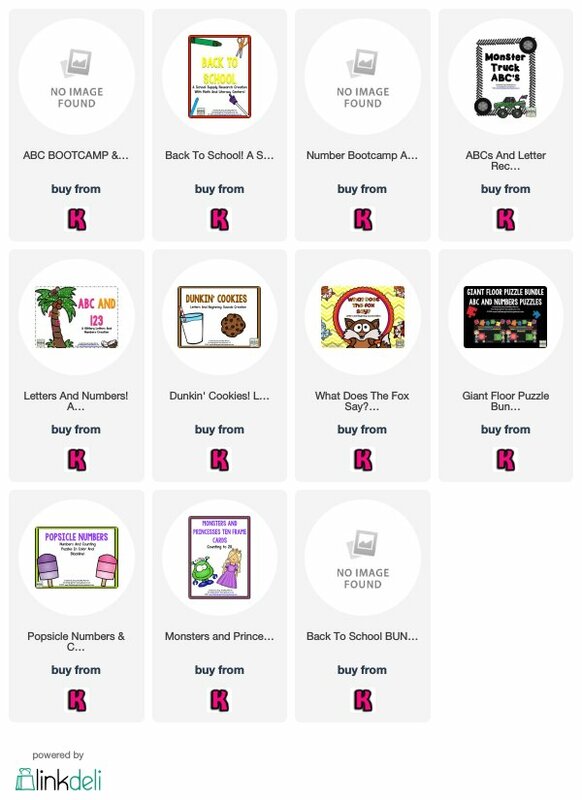 Day 3 we start FULL DAYS of kindergarten and we kick off NUMBER BOOTCAMP!!!!!!!!!!!! We continue our Back To School Research project to learn how to use more supplies such as pencils, clipboards and glue sponges! A lot of our focus this week is on our names. Writing our names. Learning our friends names. Recognizing our names. We read Chrysanthemum and make our name graph by counting the letters in our names! We play the name game! This is a PowerPoint that scrolls through each child’s name. When we see our name, we stand up and sit down! It’s a great way to learn our names and to get some movement into our day! Click the image to get the PowerPoint file to make your own name game! And finally, we have our first Foodie Fun Friday! To celebrate our first week of school and to chat about what kind of classroom we want to have, we make Friendship Salad! We will read The Boy With The Rainbow Heart and talk about friendship and taking care of one another! Then we make friendship salad! This is a MUST HAVE BOOK for the beginning of the year! Seriously. Every classroom needs this book! First Day and Back To School Freebie! These are the creations we are using in our classroom for the first day and beginning of the year! Love how organized you are. Do you sell your template to type your weekly lessons plans into? I tried making my own on powerpoint but I can never seem to get the margins right. Thanks!! My template is from A Teacher’s Plan, it is called The Greg.